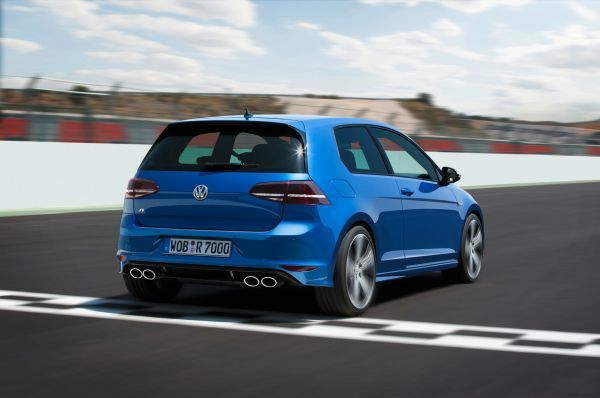 2015 Volkswagen Golf R is a hot car for the U.S. market. This new generation model brings fun to driving, offering great off-road performance due to its specifically designed tires. The exterior has a streamlined design and it presents an unrivaled mix of fantastic appearance, efficiency and ease of use. The design fanatics have ensured the new car is the best, on and off the road. It has a new bumper design in the front with huge air inlets; a radiator customized grille sporting the logo ‘R’ and daytime running lights incorporates the housings of Bi-Xenon headlight. This car has 18 inch newly developed ‘Cadiz’ aluminum alloy wheels, black brake calipers with R logo and the ‘R’ design in the side skirts with body-color. The door mirror caps are in ‘Matte chrome’, while the front fenders and the trunk lid have ‘R’ badges. This car has upgraded the interiors thoroughly. It has sport seats in the front. However, the outer seat surface areas, the head restraint upholstery and the inner side support panels are in Nappa leather in dark Carbon. The center seat areas are in light or dark Nappa leather. The steering wheel also has an ‘R’ logo design and the grip zones are in leather. The interior has ambient lighting and is integrated in the panels of the door trim. The interior is equipped with high level technology offering comfort to driver and passengers. The refined dashboard has faux carbon accents and R badges. The central console has 5.8 inch touchscreen that starts functioning immediately on moving a finger near the touchscreen as it has distance sensors. 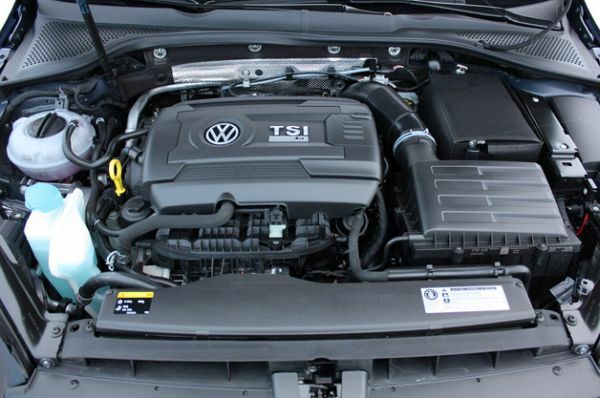 A new 2.0 liter 4-cylinder turbocharged engine is fitted under the hood. It produces 296 hp and torque 280 lb ft. A six-speed manual transmission is provided with a (DSG), direct shift gearbox dual-clutch as a choice. This car speeds in 5.2 seconds 50 miles per hour with manual gearbox and covers the same with optional DSG in 4.8 seconds. The top speed is 155 mph with either transmission. The price of the base model may be in the ranges of 35,000 and the loaded models may crest at $40,000. It is expected to release after mid 2015. 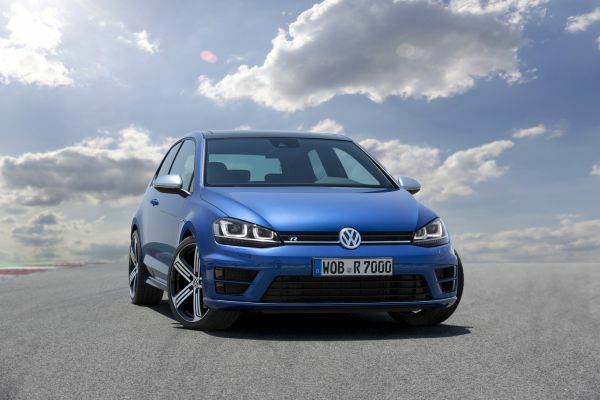 2015 Volkswagen Golf R is sure to give complete satisfaction with its exterior look. The upgraded features will lure car enthusiasts who are keen in driving a luxurious car.